The crab and lobster we get from our local fishmonger come from nearby Kerry or Clare, two stunningly rugged, coastal Atlantic counties that border ours. The brown Kerry crab, with its succulent claw meat, and Clare’s luscious lobster tails are both world-class ingredients in my book. 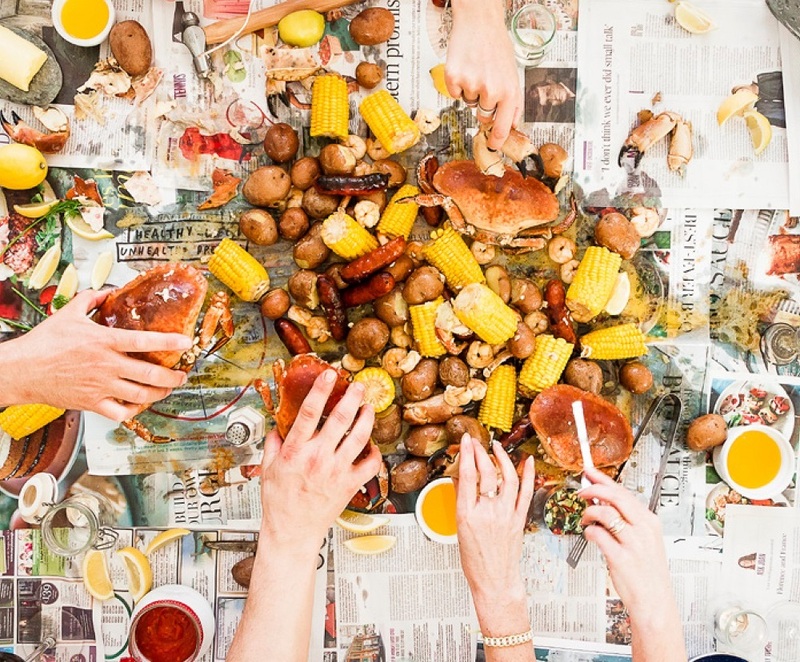 A classic summer crab boil is especially fun as a small dinner party al fresco, if weather permits. The crab boil is more a method than a recipe; the fun of it is in the preparation and laid-back ritual that makes it especially delicious. We invite a few friends or neighbours over for Sunday lunch and serve up the boil under the horse chestnut trees, with ice-cold craft cider and elderflower or apple blossom cordial on the side. I have given the ingredient amounts per person, so you can tailor the boil to suit the number of guests. 1. Put the potatoes in an oversized pot; they should cover the bottom. Add enough water to cover them by about 2 inches. Add the crab boil seasonings and a few generous pinches of sea salt. 2. Char or sear the sausages to seal in flavour. 3. Place the crabs, corn, and sausages in the pot and cover. Put the pot over high heat. When the water reaches a rolling boil, reduce the heat to medium high. Cook for another 12 to 18 minutes, until the crabs are cooked through. 4. Hold the lid of the pot ajar and dump the water into a sink, keeping the food in the pot. 5. Pour the contents of the pot onto the centre of a table covered with newspaper or brown paper. Make sure you have plenty of serving supplies: melted butter; little forks; claw crackers or hammers to get at the crabmeat; loads of napkins; and bottles of chilled pinot blanc, rosé wine, sangria, or cold cider. 6. Everyone digs in and feasts! Scullery Notes: For a DIY crab boil seasoning to serve 6, fill a large muslin sachet with 1 tablespoon of each of the following spices and herbs: mustard seeds, coriander seeds, chili peppers, bay leaves, dill seeds, allspice, fresh lemon rind, and fresh dill fronds. 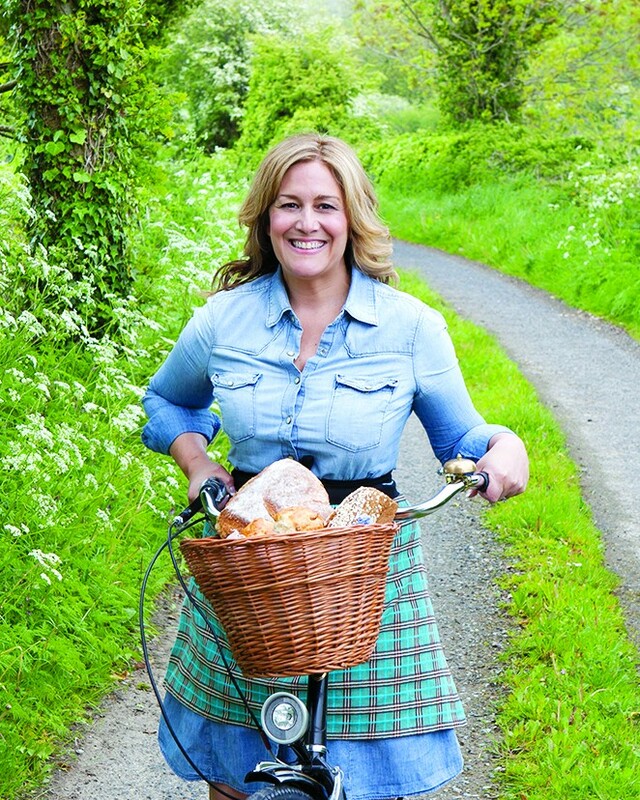 Imen McDonnell is a food and lifestyle columnist for the Irish Farmers Journal and a contributing writer to Condé Nast Traveler and Irish Country Magazine. In a former life, she spent her days working in broadcast production in New York, Minneapolis, and Los Angeles. She now resides with her husband and son on their family farm in rural Ireland and shares stories of farm life and food on her popular blog Farmette. Imen’s modern Irish recipes have been featured in The New York Times, The Irish Times, The Sunday Times (UK), The Los Angeles Times, Saveur magazine, and more. When she is not cooking, writing, weeding, or photographing, you’ll find her in the farmyard with her husband and son, milking cows, feeding calves and chickens, or loving up their two donkeys and amusing Airedale terrier, Teddy. The Farmette Cookbook is published by Roost Books, an imprint of Shambhala Publications Inc.